So I've mentioned several times here that I prefer muted colors, like black or brown, over bright colors - like the color of that coat. But every once in a while, I see something that grabs my attention - like the color of that coat. That sounds so backwards, but it's true. 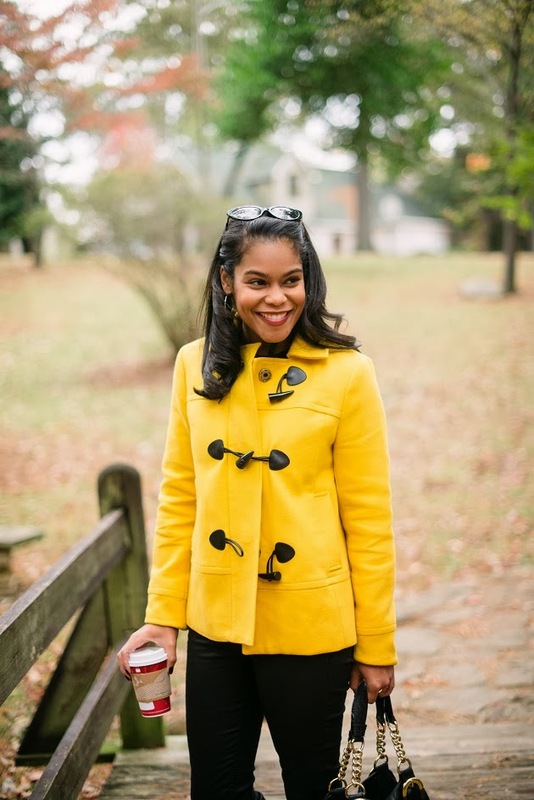 I purchased that coat on major sale last spring and it stands out like a sore thumb in my closet - yet I wear it often and am so glad I got it. It's classic, it's cozy and it makes a statement. Like they say, it pays to step outside of your comfort zone every now and then. I have to say, though, that I love those coated jeans just as much as the coat. I love their "leather look" and the fit! They are SO comfortable. 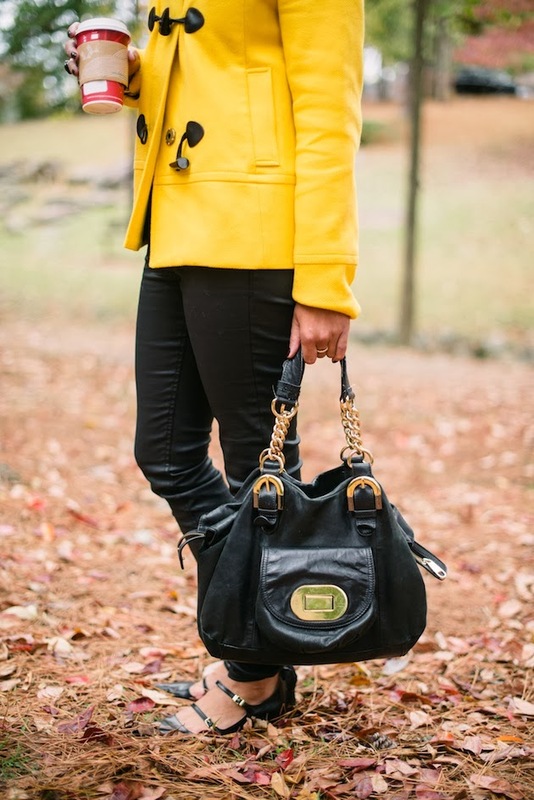 If you are looking for a leather legging or skinny jean, but don't want to pay the price of leather, then these are worth checking out. And they are now on sale! P.S. My recipe of the week is coming up on Thursday, so be sure to stop by! The color is so perfect do you agree? That is a gorgeous color on you! Beautiful photos. Right, so it was definitely the perfect choice to buy this coat - it is perfection on you! That color looks gorgeous on you!!! And beautiful place to shoot too! Totally agree, its so perfect! I am in love with that coat... very glam. 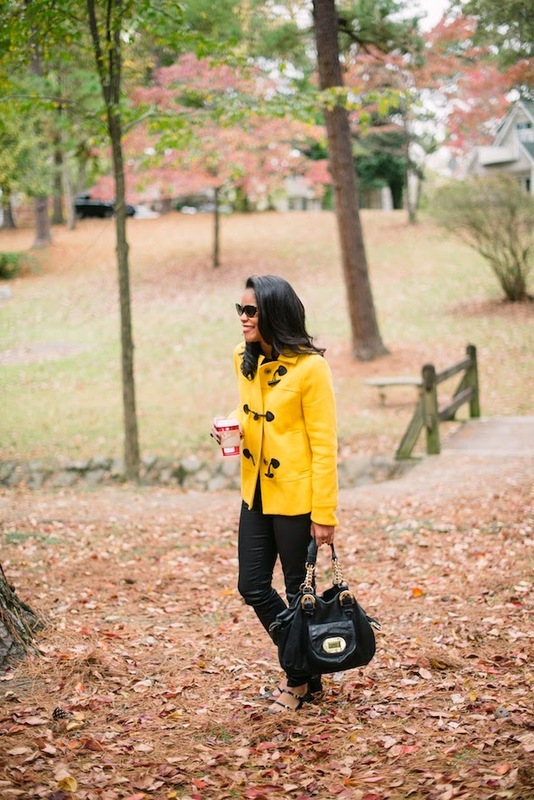 Dying over those flats...and those pants...and that jacket! Such a great look! PS how do those pants fit? TTS? You look fantastic!! Love those flats! You look fantastic and I love those shoes as well! This outfit is perfection. 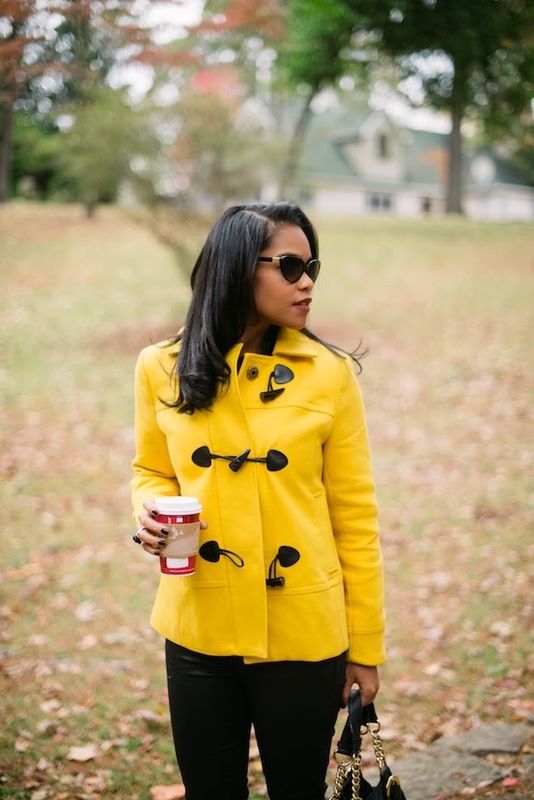 Love the yellow coat, what a great pop of color! This fashion set is perfect to go out. The leather pants so beautiful.